In today’s challenge, you’ll reflect on your origin story and tell us how and why you became a writer. When my mom was in College she spent a year abroad in Spain. During her year there not only did she become fluent in the Spanish language but she brought a little bit of Spain back home with her. To this day, she has always felt a connection to that beautiful country and has subsequently shared it with her children. 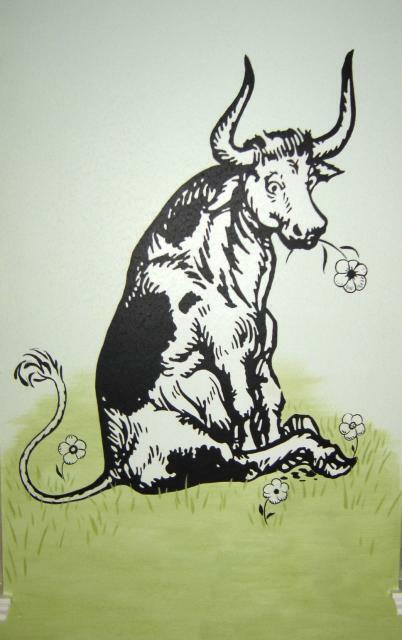 One of the books that my mom would read to me when I was little was The Story of Ferdinand by Munro Leaf. The story was about a bull named Ferdinand who wasn’t like other bulls. Instead of wanting to be a fighter of Matadors, Ferdinand would rather sit in the meadow and smell the flowers. When I was young I simply saw the story as a story. I never really thought about what it meant until now. Thinking back on it, I’ve realized that Ferdinand embodies something that everyone wants. Individuality. Everyone wants to be something special but they want to do so on their own terms. When we’re young we think that conformity is the only way to survive being surrounded by our peers. But as we get older, we realize that the only way to do so is to be ourselves. Be our best selves each and every day. And our best selves are very different from everyone else. Ferdinand didn’t let the pressure of society impose on him something he didn’t want. He didn’t want to be a fighter. He wanted to be a lover. A lover of the flowers in the meadow. Reading these books when I was young took me to a place that I didn’t know existed. They showed me just how important imagination is and just how important individuality is. Individuality might be hard to achieve at times but imagination is endless. That’s why I write. I write because I want to give a voice to all those things in my head. The things that have a hard time being heard or expressing themselves. The things that might not make sense to others but are perfectly ingenious to me. I write because words have given me so much and I want to be able to give something back. Books are a huge part of my life and I want to contribute to the limitless change that comes from the written word. I write because my imagination is endless and I have no desire to contain it. Next postWhat We Fear: Death or Humanity?